Iran has called on the European Union to refrain from making unconventional statements about Iran’s judiciary system. 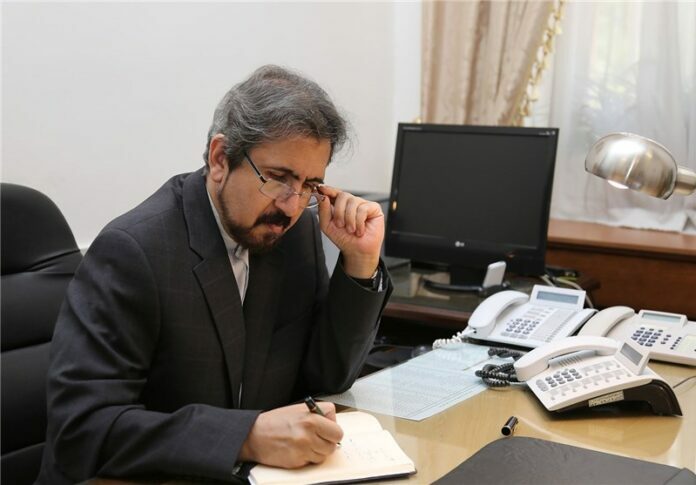 Iranian Foreign Ministry Spokesman Bahram Qassemi referred to a recent statement by the European Union’s External Action Spokesman on the prison sentence of an Iranian national, saying that the EU is required to gain a better understanding of judicial processes in Iran before repeating unusual comments. He referred to the EU’s statement as an act of interference, and rejected the anti-Iran comments, as reported by Tasnim and translated by IFP. “Since Iran and Europe are going to start their human rights talks in the near future, making such remarks is considered an unconstructive move,” Qassemi noted. These affairs, he added, are entirely within the framework of the judiciary system’s responsibilities and authority. “There is no doubt that any effort to force other communities – with different cultures, customs, and traditions – to accept the particular values of a country or region is an attempt to return to old paradigms in international relations,” Qassemi noted. Qassemi urged the EU to gain a better understanding of Iran’s judicial procedures, and refrain from repeating unusual statements. “Freedom of expression and peaceful advocacy of human rights should be protected and not penalised. The EU reiterates its call on the Iranian authorities to respect its international human rights obligations,” the statement added.